Young children are the most precious resource of every family and every nation. They are our future and if we want a successful and happy future for our families and for us as a nation, we must nurture and protect our precious children! Sadly South Africa has one of the highest statistics in the world of child abuse and neglect. Many of our children suffer at the hands of the very adults who should be loving, caring for and nurturing them. They suffer sexual abuse; physical abuse through being hit or hurt; emotional abuse through harshness, unkindness or witnessing family violence. In addition many of our young children are neglected and not given the tender love and care, good nutrition, health care and opportunities to play and develop that will ensure they grow up to become successful, happy, well-adjusted adults able to contribute to their families and communities. For young children who grow up with abuse and neglect, this has a devastating effect on their brain development, as well as their over-all development. Research shows that for children who experience such conditions or ‘toxic stress’ as it is called, it will affect the way their brains develop and their ability to learn well and achieve their potential. It will also affect their emotional stability and the way they relate to other people. Child abuse and neglect often leads to adults who repeat the same harmful actions that they have experienced. The end of May is Child Protection Week. There will be special Love, Play, Talk radio shows on child protection on Valley FM on Tuesdays from 10am to 10.30am. Do listen in and learn more about how to protect your precious young children. Let’s make EVERY DAY Child Protection Day so that EVERY CHILD has the chance of a happy childhood and the opportunity to grow up with the best start in life, achieve his god given potential and become a happy, successful adult. Let’s take up our South African heritage of Ubuntu and ‘Every Child is My Child’. Child protection is EVERYBODY’S BUSINESS! Every month a workshop is conducted for 35 teachers from community based Early Childhood Development [ECD] centres and 10 home visitors from FCW ‘Family in Focus’ programme. These workshops follow the Wordworks ‘Every Word Counts’ early literacy and numeracy programme, sponsored by RCL FOODS. 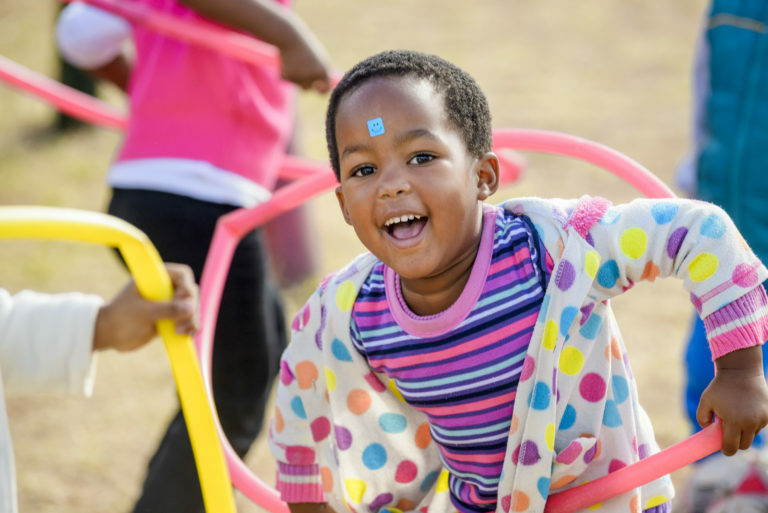 Participants are actively engaged in practical activities that they can implement in their learning programmes to support young children develop the important thinking and skills they will need to learn to read, write and do maths.